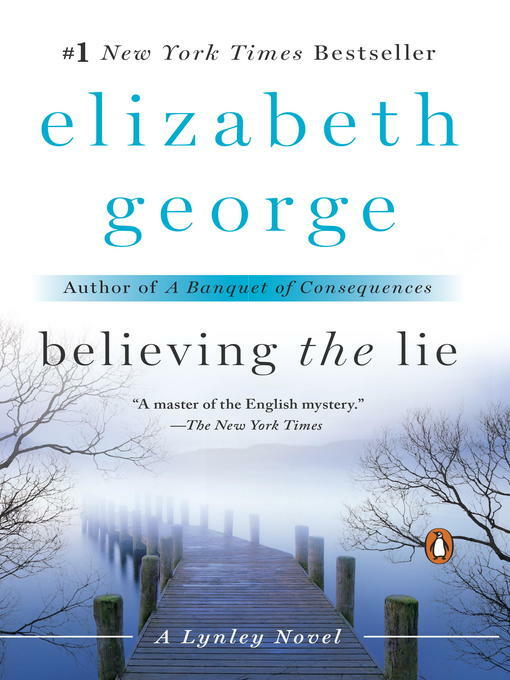 #1 New York Times bestselling author of A Banquet of Consequences Elizabeth George has millions of fans following her Inspector Lynley series. As USA Today put it, "It's tough to resist George's storytelling, once hooked." With Believing the Lie, she's poised to hook countless more. Inspector Thomas Lynley is mystified when he's sent undercover to investigate the death of Ian Cresswell at the request of the man's uncle, the wealthy and influential Bernard Fairclough. The death has been ruled an accidental drowning, and nothing on the surface indicates otherwise. But when Lynley enlists the help of his friends Simon and Deborah St. James, the trio's digging soon reveals that the Fairclough clan is awash in secrets, lies, and motives. Deborah's investigation of the prime suspect—Bernard's prodigal son Nicholas, a recovering drug addict—leads her to Nicholas's wife, a woman with whom she feels a kinship, a woman as fiercely protective as she is beautiful. Lynley and Simon delve for information from the rest of the family, including the victim's bitter ex-wife and the man he left her for, and Bernard himself. As the investigation escalates, the Fairclough family's veneer cracks, with deception and self-delusion threatening to destroy everyone from the Fairclough patriarch to Tim, the troubled son Ian left behind.